This devastating and unforgettable image opens Kaminsky’s poem. He compares grapes to the fists of a dead girl. Does the poet want us to see rounded knuckles? A skin purpled with bruise? Or just the inert weight of a dead girl’s hand? The vivid simile couples sweetness to the horrific: a girl murdered as she petitions the unseen. What did she plead for? What would anyone plead for? What god a llows a girl to die in such a way? Kaminsky’s image haunts and repels. Death, horrific history, genocide fuse to the banalities of the everyday: seeing a cluster of grapes. As if it can’t be unseen, as if the “girl gassed in her prayer” and all the other victims of so many holocausts have changed our imagination. Kaminsky follows the image of the grapes, and “the fists of a dead girl,” with a startling personification of memory: “Stay awake.” What if memory has a body? What if it can weary? The speaker speaks to memory as you might speak to someone you know intimately. Don’t sleep. Don’t pretend that the gassing of innocents is only a dream. Remain attentive. The poet’s role is to rouse memory, to practice that attention which bears witness, to shape images that will not allow readers to sleep, to deny, or to escape. 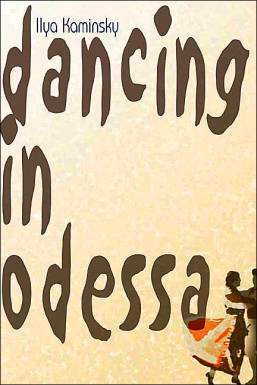 “A Toast,” from Ilya Kaminsky, Dancing in Odessa. Tupelo Press, 2004. This entry was posted in A Space for Image on February 1, 2017 by admin.